At Brooks Benefit Services, LLC, we specialize in analyzing your corporate benefit needs and determining the products and services that best suit your business. decide which type of insurance would be best for your organization. Preferred Provider Organization or PPO consists of a network of doctors and medical professionals who have contracted with insurance carriers to provide care. Members do not choose a primary care physician, and can self refer to doctors in and out of this network. However, going out of network will typically result in increased out of pocket expenses. Health Maintenance Organization or HMO also consists of a network of doctors and medical professionals who are contracted to provide care. Unlike PPOs, the member must choose an in network Primary care doctor to coordinate all aspects of their health care. Referrals to in network doctors are required, but are waived in the event of an emergency, or out of town urgent care. A health savings account (HSA) is a tax-advantaged savings account which is combined with a high deductible health plan (HDHP). HSA’s are portable, the employer or employee may fund the account and they may accrue interest. The idea is that as funds are used up in the HSA account to pay for claims, these same amounts are being credited towards the plan year deductible. Once the plan year deductible amount has been met then the underlying medical plan is introduced. A health reimbursement account (HRA) is a medical savings account that allows employees to use funds provided by the employer to pay for eligible medical expenses. HRA’s are completely funded by the employer and are retained by the employer if the employee leaves employment. The idea is the same as under the HSA in that funds are used from the HRA to meet claims up to the deductible on the underlying medical plan. Once the deductible is met then the medical plan starts. In an environment where double-digit rate increases are the norm, Self-Funded and Partially Self-Funded plans have become very popular. Contrary to a fully insured, self-funded plans rely specifically on the claims. If claims are high, you can expect a rate increase for the following year. However, if claims are low, then you may see no increase or even have a reduction in premium costs. Many employers who know their claims are high year after year, this plan may not be suitable for your organizations. Conversely if your company typically has good claims experience why let the insurance companies profit from your good health? Think of it this way: If you have a bad claims year you would probably pay an increase similar to that of a fully insured plan. However, if you have a good claims year you could keep much of those health care dollars in your pocket! These types of plans are not suitable for every company please contact Brooks Benefit Services, LLC to see if this plan may fit your corporate needs. If you`d like to know more about the health insurance options available for your company, please contact Brooks Benefit Services for an analysis of your benefits. Brooks Benefit Services, LLC offers a variety of dental insurance plans, catered to meet your business` specific need. This benefit can be offered on a group or voluntary basis, and is an attractive addition to any standard benefit package. Most dental insurance plans fall into the traditional, PPO or DHMO (dental health maintenance organization) category. They are designed to encourage preventative care. The coverage is broken down into four basic categories. For more information on incorporating a dental plan into your benefits package, contact Brooks Benefit Services, LLC for a free evaluation. Life Insurance is a benefit that business can offer their employees at relatively little cost. This benefit can be offered in two ways. Voluntary Life Insurance: The employer typically sponsors these plans. The enrollment is voluntary, and the employee covers the cost. This benefit is attractive to many companies because it allows employers to offer additional benefits and gain higher employee satisfaction at little or no expense. Group Life Insurance: These plans cover all full time, eligible employees and the employer typically pays all or part of the premium. These plans are attractive to many businesses because it is a reasonably inexpensive way to offer a paid benefit to their employees. Because this benefit is so affordable, it is often offered along with health insurance as part of a standard benefits package. Disability insurance plans are available to employers to provide short and long-term coverage to employees who are temporarily unable to work. Usually available on a voluntary or group basis, these plans typically provide a pre-determined percentage of an employee`s salary for a specified amount of time. They are traditionally offered on a short-term and long-term basis. The employer or the employee can pay for premiums or the cost can be split. Short-term Disability or STD coverage pays a percentage of salary if a covered employee becomes temporarily unable to work due to sickness or off the job injury. A typical STD Policy will provide a portion of salary (usually 50%, 60%, or 66 2/3%) for up to 26 weeks. Long-Term Disability or LTD picks up where the STD policy leaves off. Once your STD benefits expire, the LTD policy pays the predetermined salary portion for the duration of your disability. Typically, benefits will not be paid after the age of 65. 4. You wish to stay independent. *This product may be offered individually or on a group basis through an employer! To see if Long Term Care Insurance would benefit you, contact Brooks Benefit Services for a free evaluation. Voluntary Benefits are benefits provided by employers but paid for by the employee. These benefits include disability, accident, accidental death and dismemberment, life, special risk, and supplemental health insurance. This is an attractive way to enrich a corporate benefits package at no cost to the employer. 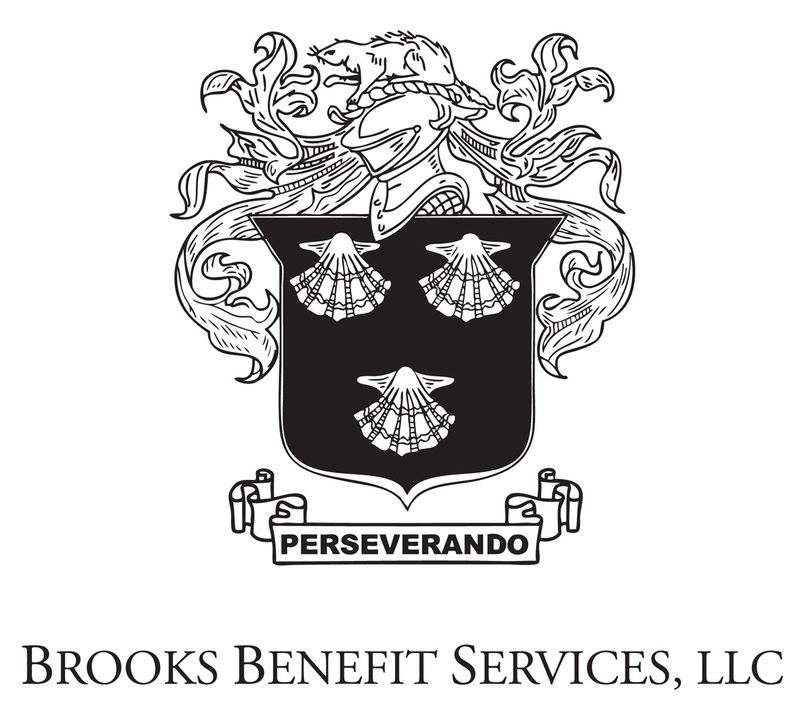 For more information on how your company can offer voluntary benefits, contact Brooks Benefit Services for a free evaluation.